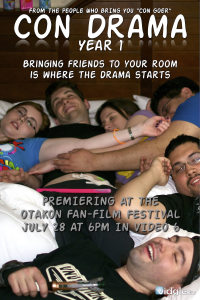 Con Drama is now available for DVD purchase! Make your purchase today! Click here to order. If you’ve been to a con with your friends, you might know the drama that goes on in your room. Con Drama is a film about that. 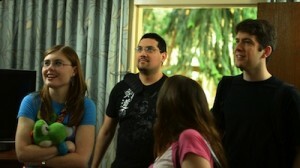 The film will concentrate on Tony’s room, who Tony invited his friends to attend a convention. Tony is die-hard con-goer, attending and staffing at cons for years. Chris is staying in Tony’s room to compete in the cosplay masquerade! But is getting his costume done last minute cause enough drama for the room? In addition, does Tony make a mistake to bring a first time con-goer and a friend who plays games in the hotel room?